The nights are getting cooler and you can feel Fall in the air. 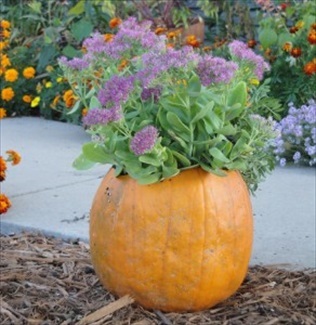 This article by LiveDan330 shares 5 easy Fall container ideas for your home. He has a lot of recommendations on different Fall flowers that look good in containers. I really like his idea of the pumpkin flower pot. Very nice article!